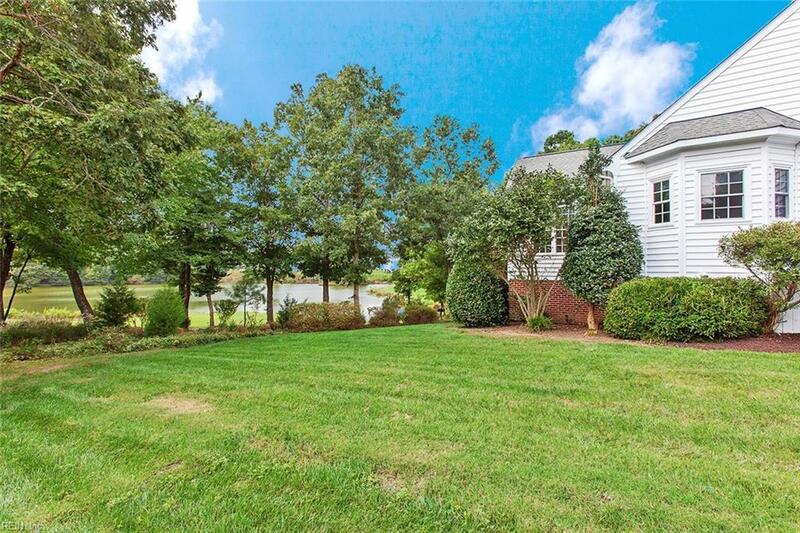 3261 Windsor Ridge South, James City County, VA 23188 (#10218393) :: Abbitt Realty Co. Here it is...the home of your DREAMS! Custom built by Ken Kraus located in the desirable Greensprings West community and Mataoka, Hornsby and Jamestown school district! With over 5,000 of total finished square feet - over 4,400 sq ft of first and second level living, 800+ of walk-out finished lower level (includes rec area/bedroom/full bath) and 300+ unfinished storage space or future living space. 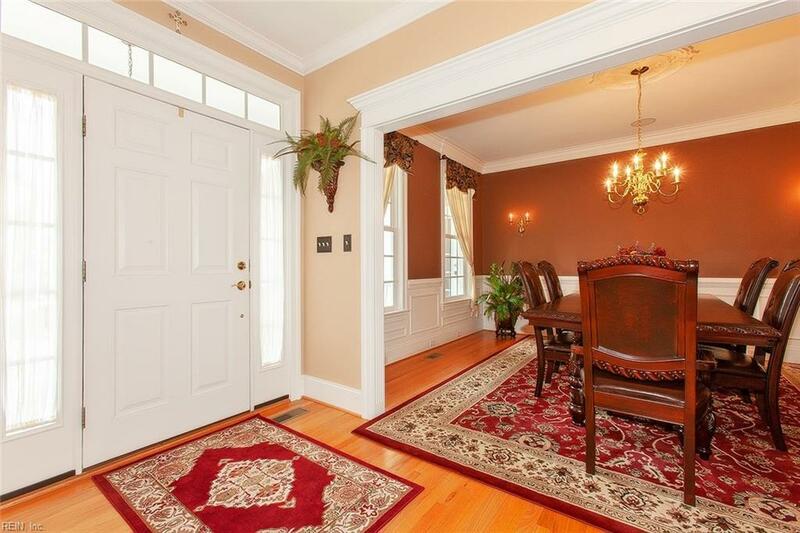 This 7-Bedroom home offers 2-first level Bedrooms, 5-1/2 Bathrooms, Hardwood Floors throughout first level, Gourmet Kitchen, formal Dining Room, office, storage galore and so much more! Enjoy a screened-in porch and over-sized deck that overlooks the 3rd hole of the Jamestown Golf Course and peaceful pond in addition to a non-buildable conservation easement lot for added privacy and space. 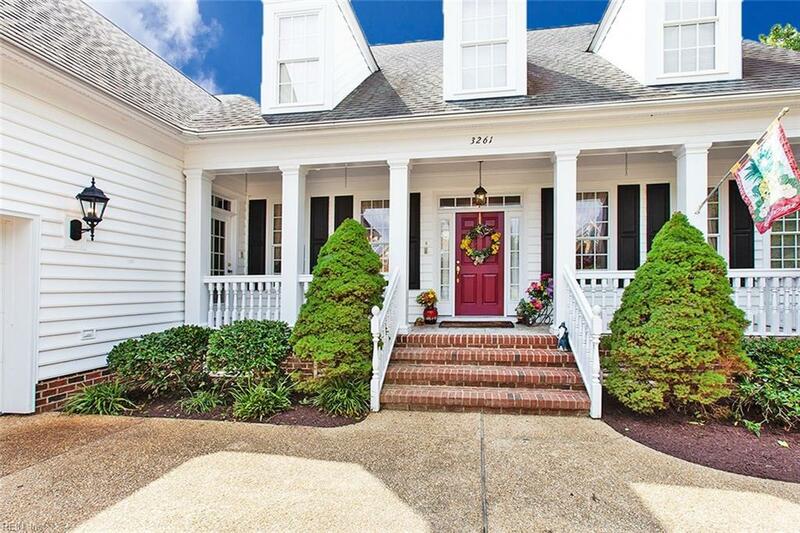 This gorgeous home checks ALL of the boxes so don't let it slip through your fingers!